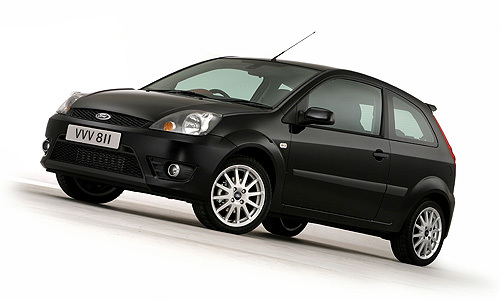 The names Fiesta… Ford Fiesta… and in 2006 the Fiesta celebrated its 30th birthday, and still today is the most popular car in its class. The Fiesta has had more re-incarnations than James Bond, and as a birthday treat, Ford brought the Fiesta into the Daniel Craig generation with yet another fresh new look. For a year I have been driving a new Fiesta, the 1.6TDCi, in sporty Zetec-S guise, which features Fords acclaimed common-rail diesel engine. Fords hardest work has been on the interior however, and is now certainly more Vodka-Martini than white wine spritzer. The old, hard plastics and dated layout have made way for a much more trendy look and feel. The new car also boasts a range of gadgets that ‘Q’ would be proud of, the options list includes such things as Bluetooth compatibility, Voice-control, Satellite Navigation, and automatic lights and wipers. A fantastically useful feature (certainly more useful than pop-out skis) is the ‘Portable music connection socket’, which allows you to play your MP3 player (or equally a digital radio or even tape player!) through the sound system, allowing instant access to hours of music. The interior is spacious enough to carry 5, and the boot is equally generous. It’s easy to see why the Fiesta is still at the top of its class, if you need a small car with big features, that will cosset and entertain you in equal measure, whilst also looking after your finances, the Fiesta is the special agent of the supermini class.